UPDATED Around this time, PPTSS stayed independent of the Amazing title. Occasionally, the title would reference events in Amazing, but there were no tie-ins and no need to buy PPTSS. It was completely nonessential…And the stories were largely inconsequential. 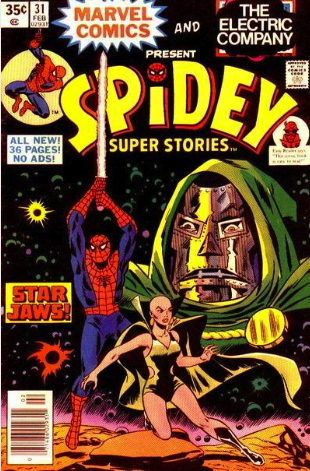 The other Spidey title at the time was Marvel Team-Up, which was in many cases the best of the three. In other words, the Spider-Man franchise was getting stretched pretty thin. The books sold like hotcakes, though, despite the lack of quality. In fact, the best Spidey title at the time was…. Anyhow, these issues contain fill-in stories and one-offs. We get a John Byrne cover on this one, which is nice, but the stories are just bland.